The show usually consists of two rocking 50 minute sets. 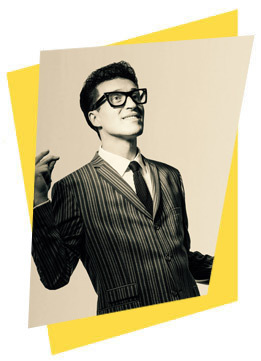 One set is exclusively Buddy Holly, the other a golden selection of 50s and 60s Rock n Roll classics (see lists below). Other options are available to suit your needs. For an authentic retro feel the show also includes costume changes, lights and props. 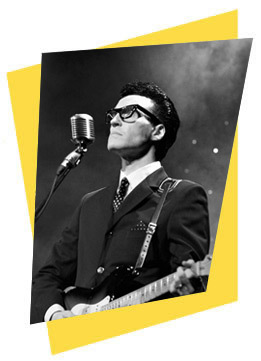 Listen to audio samples of Spencer J as Buddy Holly by clicking on the song titles below.